Fibromyalgia Mineral Deficiency: The Cause and The Cure? What Causes Fibromyalgia Mineral Deficiency? Below are several studies that look at Fibromyalgia Mineral Deficiency. They studies point to a simple, low cost dietary solution. 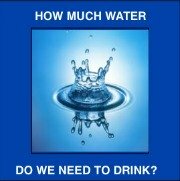 Of course, the Water Cures is one of the simplest ways to get most of the minerals we need daily. There is another concern related to this that you should be aware of. While the more expansive name has not caught on (as of the fall of 2016), it is affecting 300,000 people every year (according to the CDC) and it may be the cause of Fibromyalgia. 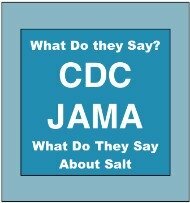 Most people know it as Lyme's disease. In reality, there are several potential bacterial infections that are related to Lyme but are not the same. Thus, one doctor suggested the name, MSIDS or multiple systemic infectious disease syndrome. These bacteria are, in many cases, the cause of the mineral deficiency in that they work on the gut in such a way that it cannot adequately absorb enough of the minerals from the diet. We will need more in order to compensate for the shortage due to absorption problems in the body. Several studies point to a fibromyalgia mineral deficiency connection. 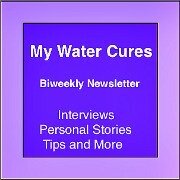 This offers scientific evidence that the water cures protocol is an effective and viable way to treat fibromyalgia. 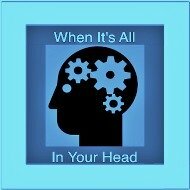 As you read this, you will see that the evidence points to both a lack of vital minerals in those suffering with fibromyalgia and that adding providing the minerals makes possible the relief or elimination of fibromyalgia symptoms. The study found that serum magnesium and zinc levels may play an important role in the pathophysiology of fibromyalgia. Association between serum zinc level and number of tender points and the fatigue noted and magnesium level was notable. The results of this study points to serum magnesium and zinc levels as playing an important role in the pathophysiology of fibromyalgia. 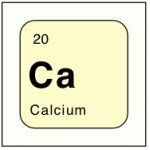 The conclusion, concentrations of calcium, magnesium, iron, and manganese in the hair of women with fibromyalgia were lower than those of controls. The purpose of the study was to evaluate the effectiveness of a modified Myers' intravenous nutrient therapy (IVNT) on the symptoms of fibromyalgia (FM) in therapy-resistant FM patients. All had improvement in symptoms and increases in their activities of daily living, although no participant reported complete resolution of symptoms. IVNT appears to be safe to reduce FM. Myer’s Cocktail: an intravenous vitamin-and-mineral formula which consists of magnesium, B vitamins, and vitamin C. It has been found effective for acute asthma attacks, migraines, fatigue (including chronic fatigue syndrome), fibromyalgia, acute muscle spasm, upper respiratory tract infections, chronic sinusitis, seasonal allergic rhinitis, cardiovascular disease, and other disorders. The general effect of a Myers Cocktail intravenous therapy appears to be a marked improvement in the energy capacity and function of cells. 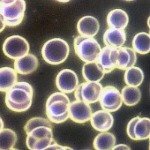 If your cells can function at their best, it’s more likely you can recover from a serious health problem. Balneotherapy for fibromyalgia at the Dead Sea. Rheumatol Int. 2001 Apr;20(3):105-8. (http://www.ncbi.nlm.nih.gov/pubmed/11354556) The study was to evaluate the effectiveness of balneotherapy on patients with fibromyalgia (FM) at the Dead Sea. With the exception of tenderness, the improvement was noted in the group receiving treatment and it lasted past 3 months. Reduced severity of fibromyalgia related symptoms (pain, fatigue, stiffness, and anxiety) and reduced frequency of symptoms (headache, sleep problems, and subjective joint swelling) were reported in both groups but the treatment group the relief lasted longer. The conclusion, using balneotherapy at the Dead Sea is effective and safe and may become an additional therapeutic modality in fibromyalgia. 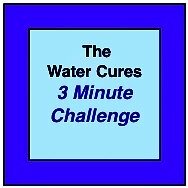 Based on the evidence, the water cures is a viable option with science behind the theory. 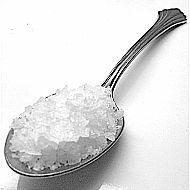 More importantly, it is simple, easy and with exception of the cost of the salt, it is practically free.